Born in 1939, Don Crofton moved to Flour Bluff from Corpus Christi in 1946 because his dad, James Albinus Crofton, wanted to live in the country. Don’s father was a former B-26 bomber crew chief in the army air corps who had taken a job at Dow Chemical, which is what brought him to Texas from Shreveport, Louisiana. 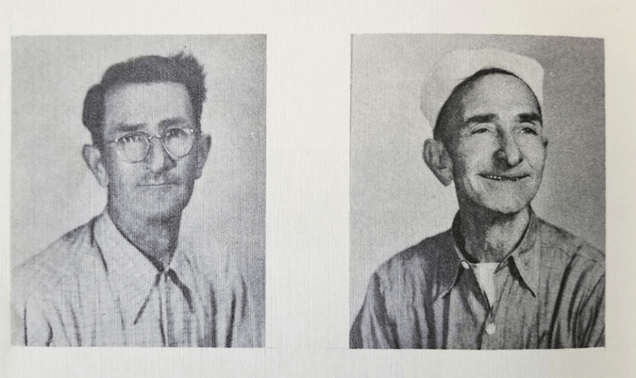 However, it was his job as a draftsman at NAS Corpus Christi that brought led him to Flour Bluff and introduced him to J.B. Duncan, a man whose family had helped settle the Encinal Peninsula. Duncan sold James Crofton an acre of land with a house on it on a sandy road called Flour Bluff Drive. There, he moved his wife Louise and four of his ten children. The lot where the Crofton house stood is where the small gas plant near Murphy’s gas station is located today, just at the edge of what was then the Burton Dunn Ranch. In those days, people didn’t waste materials. When the base dumped its left-over wood of all kinds – many times at Graham’s dump on Flour Bluff Drive – the civilian workers and the locals salvaged the materials and built their homes. Such was the case with the Crofton home, which was built by Duncan using quarter-inch plywood from shipping crates off the base. This attitude of making something out of nothing still exists in the Flour Bluff culture. People on the Encinal Peninsula understood the concept of reduce, reuse, and recycle long before it became a popular thing to say and do. They did it out of necessity. Crofton, like so many Flour Bluff residents who lived on the peninsula in 1961, remembers what would become known as the most controversial election in Flour Bluff history. It was the day that Flour Bluff residents voted to incorporate on the same day that the City of Corpus Christi voted to annex the area. “My father used to ask why we didn’t just incorporate the area from our house to Mud Bridge where there weren’t any streets, only houses. He said we didn’t really need to go into the city for anything anyway. ‘We could call it Plum Nelly – plum outta Corpus and Nelly in Flour Bluff,’ Crofton recalled his father saying. 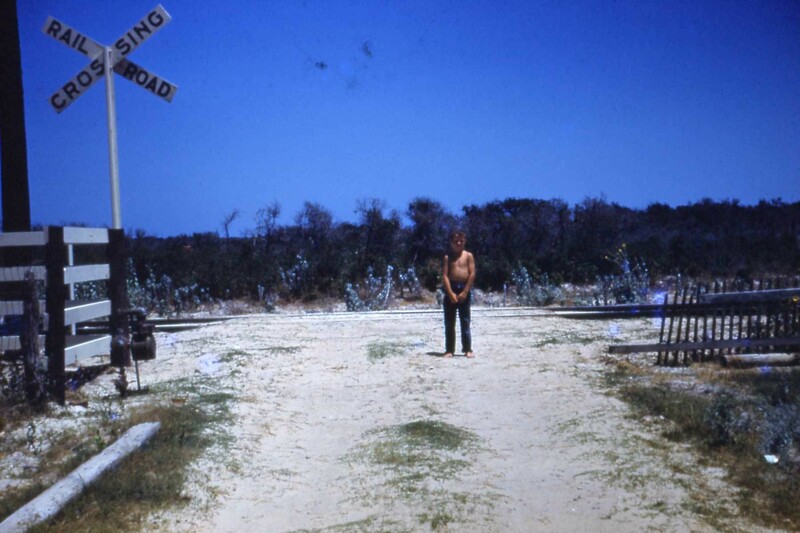 According to Don, the Flour Bluff sign was much farther inside the peninsula then. Don started school at North Beach Elementary and then went to David Hirsch Elementary before enrolling in Flour Bluff when he was in third grade. On the first day of school in Flour Bluff, George, Johnny, Tootsie, and Don went to school on the bus. “We used to walk to school and back every day, which was about two miles. But, on our first day at Flour Bluff, we caught the bus. 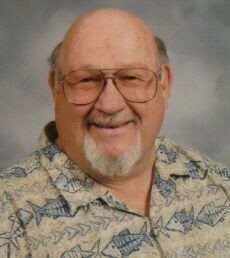 Flour Bluff had two bus drivers then, Mr. Meeks and Don Barr,” said Crofton. When the bus arrived at the school, George asked Don if it was the right place. Don didn’t know so he asked the bus driver where they were. When the bus driver told them it was grammar school, a term the boys had never heard, Don looked at George and said, “Oh, no, George, we’re in the wrong place. Let’s go!” That was just the start of Don’s days at Flour Bluff School where he excelled. 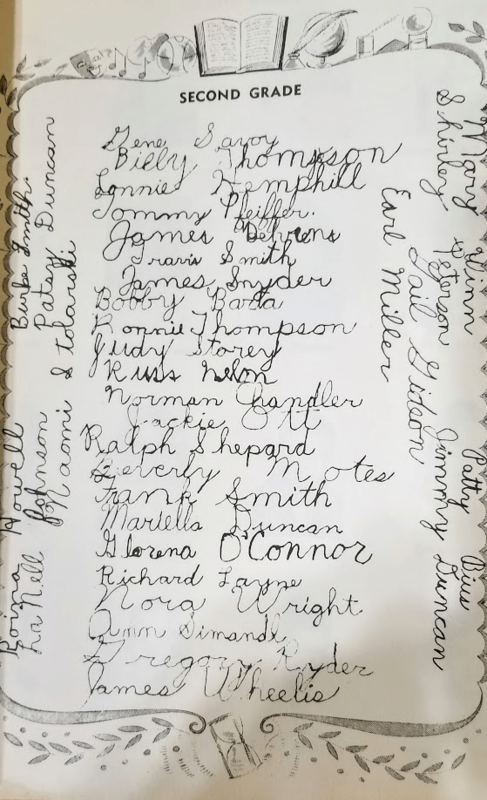 Second Grade page from 1946-47 Junior Hornet Yearbook, proof that the students were writing cursive well in second grade at Flour Bluff School. 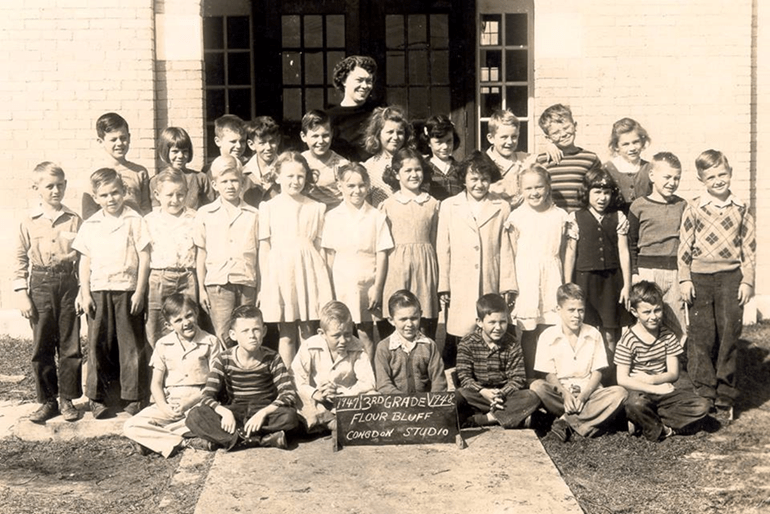 Don would remain in Flour Bluff School until 1957 when he graduated second in his class behind Nora Jean Wright, the valedictorian. Crofton received the title of salutatorian, which earned him a scholarship from the school. Jim Duncan, who came in at a very close third, received a duplicate scholarship. Don would find himself back at the school many years later, this time on the other side of the teacher’s desk. Be sure to pick up the next edition of The Texas Shoreline News to read more about the days gone by in Flour Bluff. 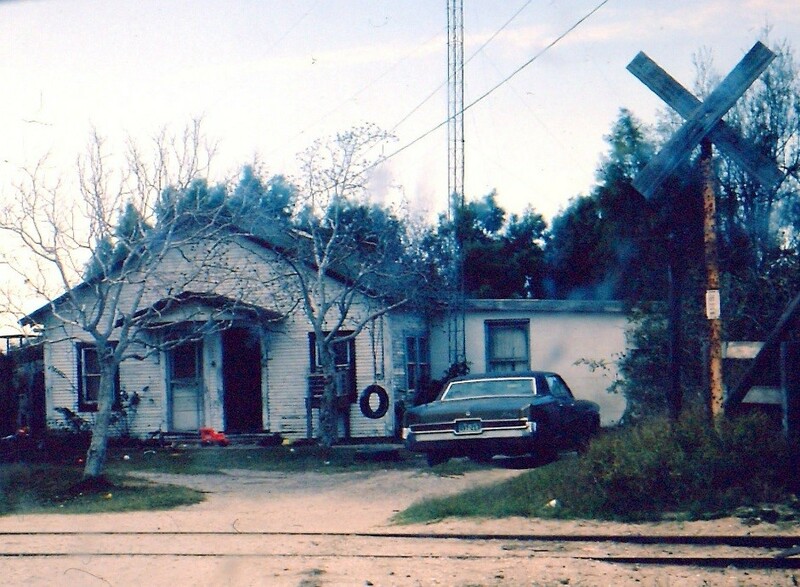 To share these stories about Flour Bluff history with others online, visit https://texasshorelinenews.com/.